Be careful to play robotic toys and video games by setting up a headset. Hackers can track these people’s thoughts and monitor their PIN and password. According to scientists, brainwave sensing headsets need better protection. Scientists group also include a person of Indian origin. 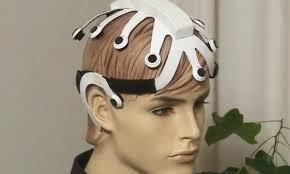 From electroencephalograph (EEG) headset, users control robotic toys and video games with their brains. Researchers at the University of Alabama in Birmingham in the United States discovered that if a person playing the video game interrupts the game and logs into the bank account wearing the EEG headset, then by any hacking software Passwords or other sensitive data are threatened with theft. The team of scientists used an EEG headset available online to consumers and a clinical grade headset used for scientific research. It shows how hacking software can quickly detect things in the mind of the user. While typing, there are activities in the hands of the user, eyes, and brain in the nerves. All these activities are recorded in EEG Headsets. Hacking software is capable of recording these activities.